Make the most of historical St. Thomas and its beautiful beaches with a guided tour of the best of the island and a visit to a beach of your choice. Our knowledgeable tour guides will take you to the best locations in St. Thomas, with opportunities to experience the dazzling sights and sounds and learn more about the island, its customs, and history. Your tour will stop along some of the most beautiful scenic areas for panoramic views and photo opportunities. View the island from all sides at Mountain Top—the tallest spot in St. Thomas—and take the opportunity to try a world-famous banana daiquiri. Enjoy amazing photo opportunities of the beaches, Caribbean waters, and Magen’s Bay, one of the world’s top 10 beaches. End your day with a relaxing trip to one of the island’s white sand beaches. 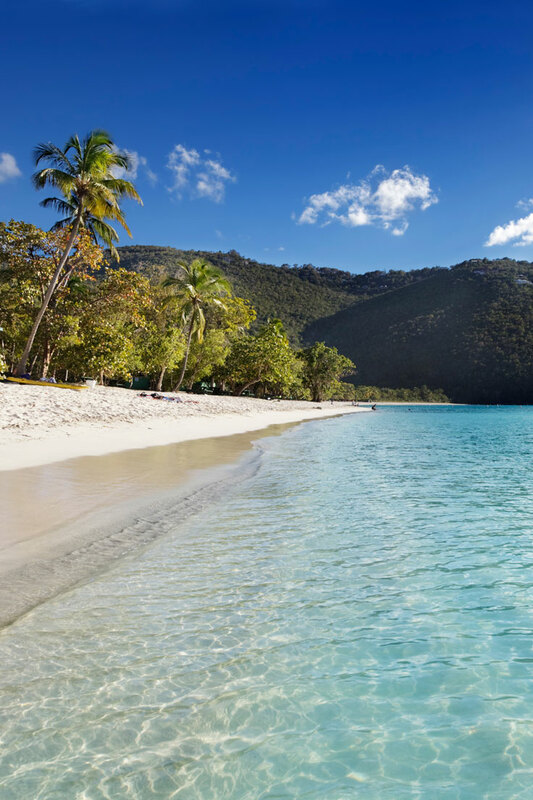 Choose from Sapphire Beach, Coki Beach, or Magen’s Bay for your beach excursion. Enjoy sinking your toes in the soft sand, or cool off with a dip in the blue water. 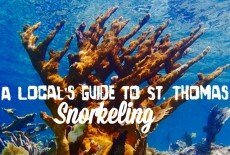 Snorkel among the sea life and view the colorful fish and reefs. For the more daring, rent a Jet Ski or take a parasail excursion. Soak up the sun, enjoy drinks from the local bars, or try some of the island fare at one of the beach restaurants. If you choose Saaphire Beach or Coki Beach, on your return, you will have the opportunity to see the Red Hook area and learn more about how the locals live before returning to your starting point. Transportation is provided via van, mini-van, SUV, or an open-air Safari bus for larger groups. All guides are licensed and certified professional drivers with extensive knowledge of the U.S. Virgin Islands. 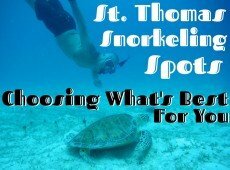 Do not let this St. Thomas tour slip away! Book your St. Thomas sightseeing and beach excursion now! Our cruise ship accommodation features a departure at 10:30 AM and a return time of 3:00 PM to meet cruise ship schedules.